A national disaster or regional emergency can upend your life as you know it. 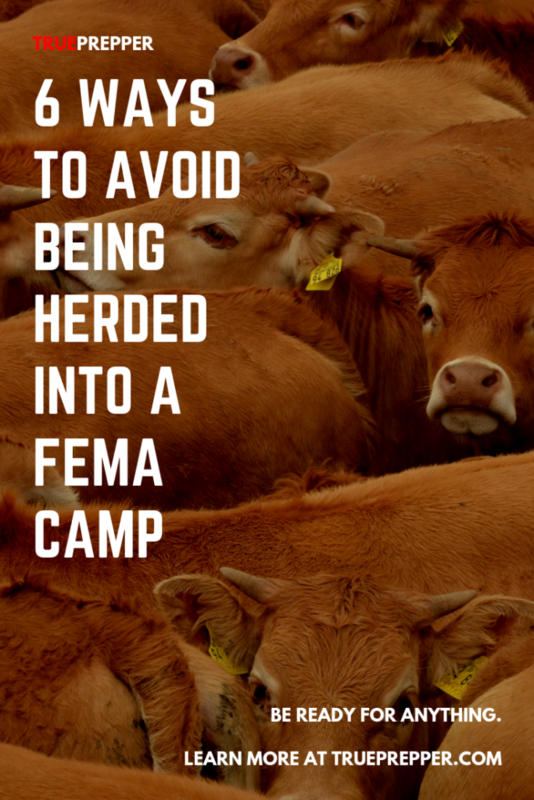 If you are caught off guard, you may end up in a FEMA emergency camp. If things truly go south, this could be the last place you want to end up. With no resources to call your own and thousands of others packed into a public area, things could easily go wrong with a large enough disaster or just the wrong type of emergency. This is probably the best advice we can give. Most people going to FEMA are seeking them out for basic supplies, and probably did not prepare enough in advance for the disaster or emergency. Even if you plan on ‘scavenging’ for resources- being out and about can increase your exposure to being rounded up by a National Guard unit and escorted to a FEMA camp. At the very least you should have a survival kit so you can be self-reliant and not need to seek out help. You can usually tell ahead of time what areas could be prone to a mandatory evacuation. Is your home is vulnerable to flooding or a nuclear accident? Is it in an urban area or near a military base that could be targeted by attacks? All of these are examples where a mandatory evacuation could be put in place, so knowing your risk of these threats can help you see the potential for evacuations. Mandatory evacuation areas usually spawn FEMA camps just outside of the evacuation area to house all the evacuees. If at all possible, try and have a better plan than being funneled into one of these camps. If you want to get real clever, you can mark your home as if it was already visited by a search and rescue unit. Check out this article to see how to properly mark it, but it is relatively simple and you just need a can of spray paint. Pair this marking with good light and noise discipline, and your home could be skipped over easily by anyone enforcing a mandatory evacuation. Sometime you just have to leave. If there is a chemical cloud hanging over your house, or a nasty pandemic spreading through the country like wildfire- it may be necessary to bug out if you don’t have the proper tools to stay put. A shelter in place kit is simply an add on to your typical survival kit that lets you barricade airflow in your home, making it as airtight as possible. As we touched on earlier, location plays a big factor in your risk of being evacuated. Having multiple locations available ensures that you don’t get ‘pinned down’ in one spot. Not many people have the resources to own multiple properties, so making friends with preppers not in your area comes in handy here. If you don’t have any prepper friends that live far enough away, try helping a few non-prepper friends to become preppers! Information is always key. Communication is passing information back and forth. While news sources on TV and the radio can be managed and censored, amateur radio can not. Staying informed during emergencies using CB/HAM radios can help immensely. Not only can you stay ahead of any planned evacuations, but you can communicate with others to work together. While a FEMA camp is not the worst place you could find yourself in an emergency- it is not somewhere you want to end up if you can help it. It is a particularly vulnerable site for ‘chain reaction’ disasters, attacks, and pandemics. 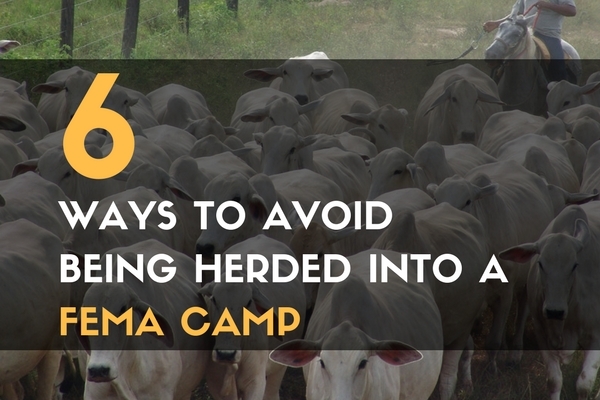 Going to the camp should be a last resort- when you are out of resources, shelter, and hope. If you need medical attention, finding a camp could save your life. Weigh your options and risks, and know what is best for you and your family. Keep exploring, stay prepared, and be safe. In case you didn’t get my earlier request I am asking your permission to reprint both this article and the one titled “Urban Search and Rescue Markings and Why You Should Know What They Mean” in my monthly Dying Time Newsletter. I will provide full accreditation and a link to your site with the article.